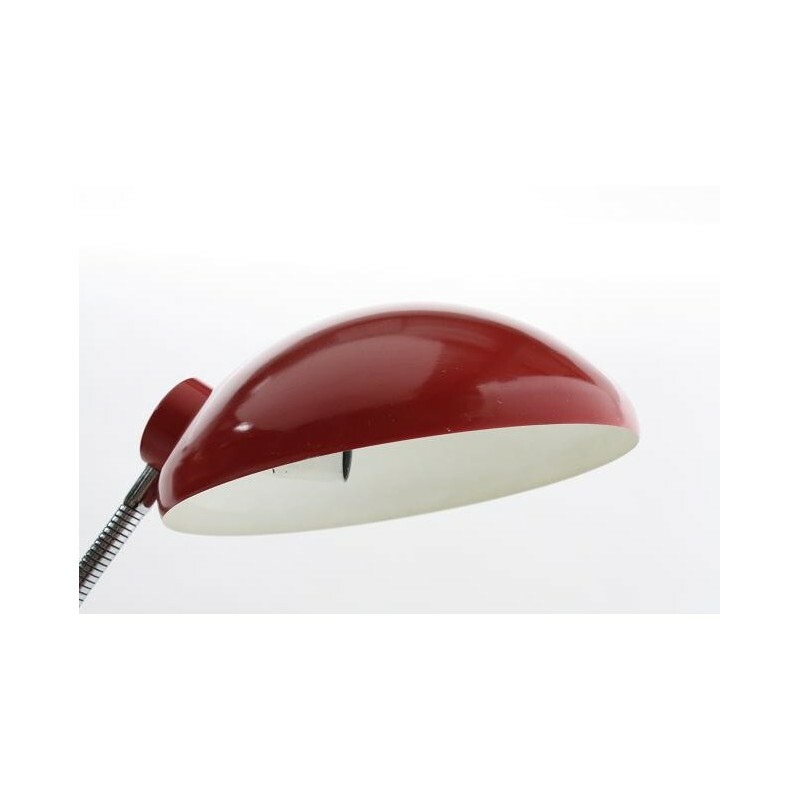 Desk lamp from the 1960's. 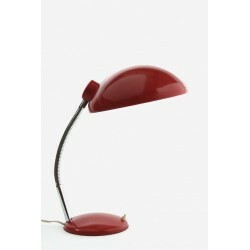 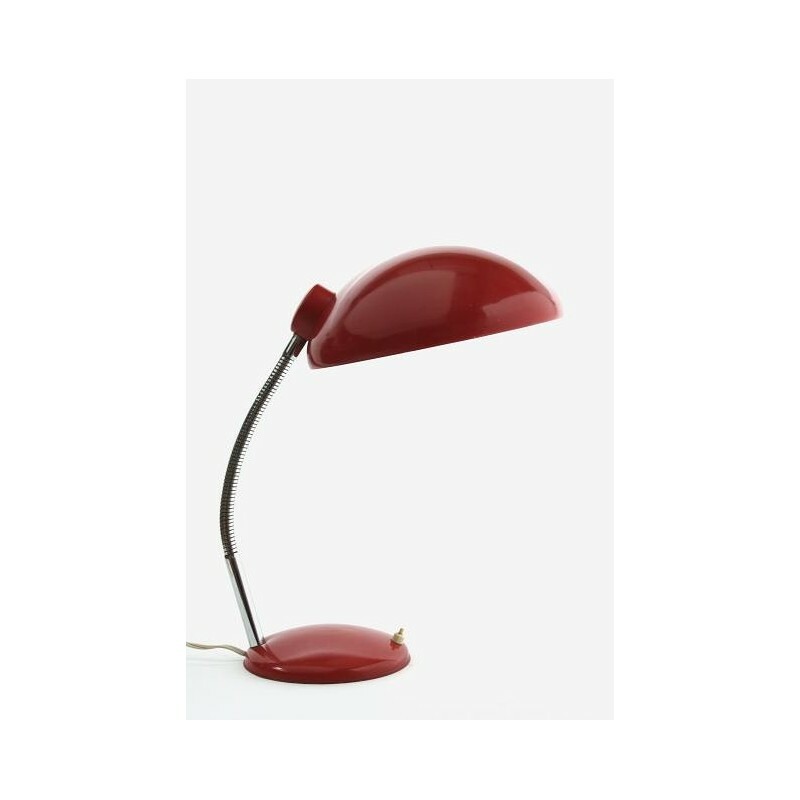 The lamp has a metal red colored shade, the height is adjustable by the flexible arm. The condition is good. 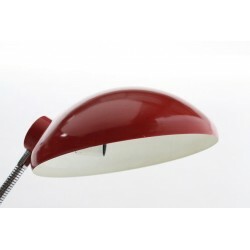 The dimension of the shade is 28 cm in diameter, the total height is 45 cm.